Developing hand in hand with e-Business in its use of information and communication technologies (ICTs), e-Government emerged in the 1990s with the promise of a more accessible, efficient and transparent form for public institutions to perform and interact with citizens. The successes-and some critics say, general failures-of e-Government initiatives around the world have led to the development of e-Governance-a broader, more encompassing concept that involves not only public institutions but private ones as well. Taking a multidisciplinary approach, this book explores e-Governance in theory and practice with an analytical narrative from heterodox perspectives. Covering such essential issues as global governance of the Internet, the European Knowledge Economy, the transformative promise of mobile telephony, the rise of e-Universities, Internet accessibility for the disabled and e-Governance in transition economies, this book draws on contributions from experienced academics and practitioners with an expertise in an emerging field. In addition, each chapter includes such features as discussion of key issues that draw on case studies in order to facilitate significant discussion questions. 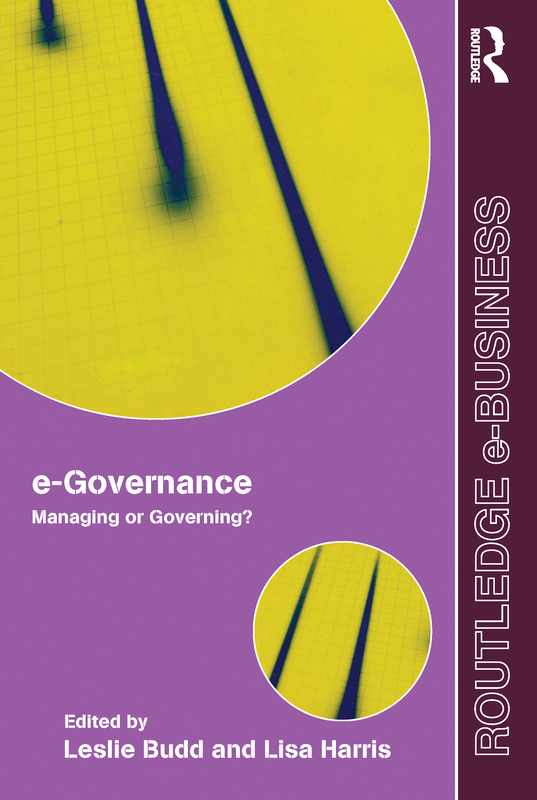 INTRODUCTION: MANAGING GOVERNANCE OR GOVERNANCE MANAGEMENT. IS IT ALL IN A DIGITAL DAY'S WORK?